The Louisville Real estate market is still strong despite lower inventory than last year. Home values are increasing, sales are growing, and distressed sales (foreclosures and short sales) are decreasing. Buyer demand continues to grow and is forecasted to spike in Spring. GLAR President Dave Parks noted that, "The local market is still strong despite the fact that the current inventory of homes for sale is roughly 30% compared to 10 years ago. There is very strong competition for starter and move-up homes, and more normal levels of inventory for higher end homes." Lawrence Yun, Chief Economist of the National Association of Realtors® commented that, "strong job growth assures at least three interest rate hikes by the Federal Reserve in 2018." He continued by saying that in order for home prices to moderate, more home construction is needed. "Job openings in the construction industry remain at historic heights. It is now a matter of providing necessary skills to go into the industry." Robert Dietz, Chief Economist of the National Association of Home Builders, reported that he is concerned with sluggish permit activity nationally. "The weak permit numbers indicate that builders may be hesitant to start projects as they contend with rising material prices and labor shortages." If you’re thinking of selling, now is the time. 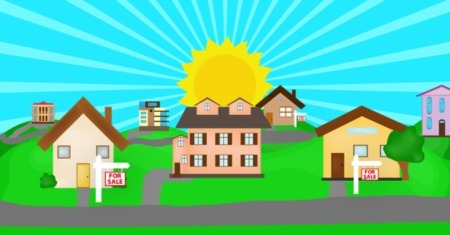 Demand for your house will be strong which could lead to a quick sale and top market dollar. If you’re considering buying, we recommend getting pre-approved by a lender and have proof of funds ready. Choosing the right realtor is important as a buyer or a seller as you need a dedicated agent that will advocate on your behalf and go the extra mile. We make it a priority to educate our clients throughout the entire process of buying and selling. We will maintain your best interests when it comes to negotiations and provide a competitive edge as we enter in the Spring market.